Crucial aims to make the BX100 as their lowest cost/GB SSD ever - even cheaper than the MX100. 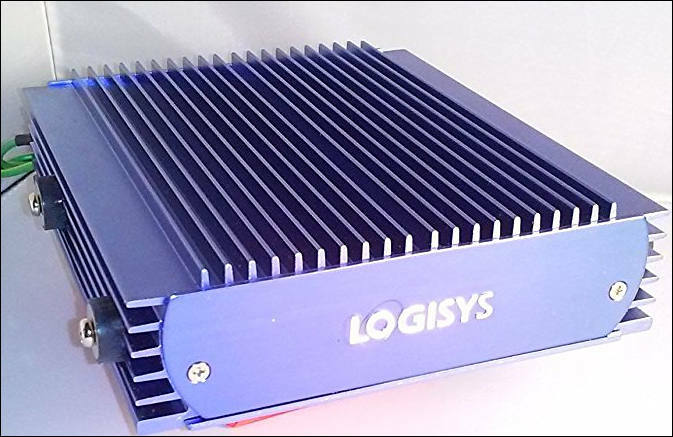 Since Micron makes the flash, the best way to drive costs down is to use a lower cost controller. 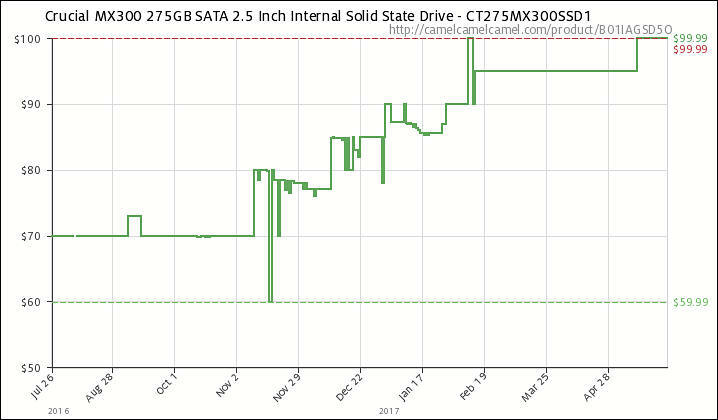 It’s possible that December prices were down because SSD brands lowered their prices for the holiday season. Especially the Seagate 600 480GB, Samsung 840 Pro 128GB and Toshiba Q Series Pro 256GB drives stand out, their prices have increased heavily. The Samsung 840 EVO is still amongst the lower priced drives, but the 1TB model gained 25% in price. The drive with the lowest Price per GB is the Kingston SSDNow 480GB with $0.37. In December 2014 the lowest priced SSD was the Samsung 840 EVO 1TB at $0.35 per GB. The average contract price for 128GB Client-SSDs made by original equipment manufacturers (OEMs) has dropped to US$50 in the second quarter, while 256GB Client-SSDs have seen their average contract price lowered to nearly $90. "The OEM market for Client-SSDs has experienced a rapid price decline due to the increasing adoption of SSDs based on triple level cell (TLC) technology"
SSDs carrying multi-level cell (MLC) NAND flash will be introduced in the third quarter. These factors will contribute to a sharp price drop in the OEM market for Client-SSDs during the latter half of this year. The 480 GB model appears to be the best value, with prices dipping down to $165 at more than one etailer. 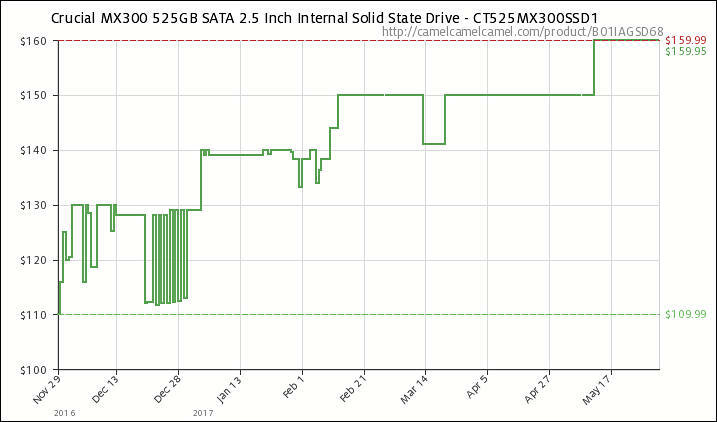 The 240 GB drive has been as low as $65, but we were not able to find that price when we wrote this article. 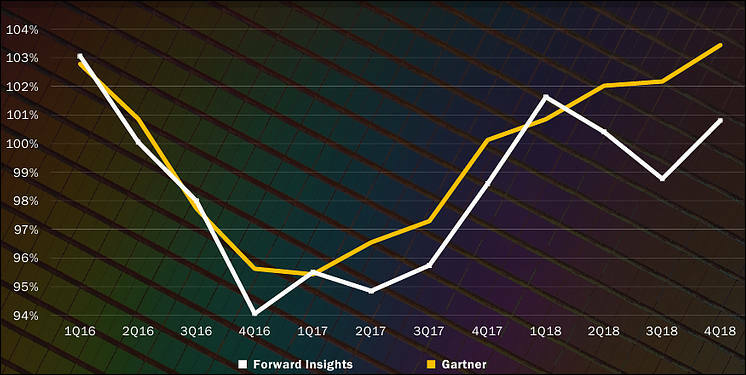 Client-grade SSDs of mainstream capacities continue to see rising contract prices in the PC-OEM market during this first quarter. On average, contract prices of MLC-based client-grade SSDs are projected to go up by 12~16% compared with the fourth quarter of last year, while prices of TLC-based products are expected to increase by 10~16% sequentially. Apparently a lot of the manufacturers have been focusing on 3D NAND, but yields of this newer Flash technology have been lower than expected so far. The industry-wide transition to 3D-NAND and 2D-NAND TLC production has sharply reduced the supply of Flash memory of the 2D-NAND MLC type. Thus, the price increase of MLC-based SSDs is outpacing that of TLC-based SSDs. This is the result of capitalism chaos, as lot of manufacturers no longer having any means to make something better and different started to put 6-8GB of RAM and 128-256GB of flash in smartphones. The NAND Flash market remained tight in the first quarter of 2017 as it had been in the preceding quarter, according to DRAMeXchange. Despite seasonality, average contract prices for NAND flash chips surged 20-25% sequentially in the first quarter. There will be a severe shortage of NAND flash memory chips in the third quarter of 2017, and the tight supply will persist through the fourth quarter, according to Taiwan-based Innodisk, which develops and manufactures industrial-class storage products. The ongoing tight supply of NAND flash chips was caused by chipmakers' transition to 3D NAND memory, said Innodisk. Yield rates for chipmakers of 3D NAND technology required for 1Xnm and sub-1Xnm process manufacturing remain unstable. WDC propose that NAND price increase continue at least to mid 2018 and hopefully (for them) much longer. Major chip providers Samsung Electronics and SK Hynix have recently adjusted upward their prices for eMMC, eMCP and SSD devices by 10-20% to reflect their tight supplies, said Pua. Meanwhile, Toshiba and Micron Technology have also informed their customers that the supply of their NAND flash chips will be reduced in the third and fourth quarters. Toshiba decided to shut down the production for 3-6 weeks to deal with the hacking, but production has now returned to normal, said the sources, adding that the suspension resulted in reduced NAND flash production nearly 100,000 wafers. The world's NAND flash market was supposed to see improvements to the undersupply situation starting the fourth quarter, but the Toshiba fab shutdown has now created uncertainties, the sources indicated. Many downstream distributors originally believed that NAND flash prices had been inflating excessively and would see correction starting the fourth quarter of 2017, according to the sources. However, with the Toshiba incident, such a price correction may not occur. NAND flash contract prices for the third quarter rose by up to 6% sequentially, said DRAMeXchange, adding that the prices are approaching the highest levels that OEM factories can afford. Prices for the fourth quarter are expected to remain flat or rise only slightly on quarter, as chipmakers are capable of mass producing 64- and 72-layer 3D NAND devices, DRAMeXchange continued. Contract prices for mainstream SSD products will continue their downward trend in the second quarter to reflect a slight oversupply. The continued price decline is expected to drive greater SSD adoption in notebooks in 2018. NAND flash prices are still under downward pressure due to oversupply, Transcend commented. Waiting for the day you get 4TB SSD drive for <=400€. Then I could finally remove HDDs from my system. And why you need 4TB SSD? Thing will be absolutely unmatched. In reality with proper automatisation any 240GB SSD will do as edit drive. Well, good 5400 HDD is almost silent with proper case. As I said, writing simple auto script you can move stuff to edit SSD (and back with one click) and keep HDD with auto-off. I have similar already. HDD is still the noisiest component in my system. The noise annoyance is very subjective. I find it very annoying, because you do not have total control to it, and it can be a problem if you need to record audio with condenser mic in the same space. Just set it to shut off after certain period of time. And get other HDD. Can make stuff in https://www.autoitscript.com/site/autoit/ (or similar software) to adapt your PC to any task you have ahead. I am not talking about smaller things. It's not that simple, there's a lot of things to consider. I end my discussion about HDDs here, I'm only interested about SSD. One other possible solution I personally saw was the guy who just made separate box with HDDs raid and connected it via 10 Gbit port (actually many will do fine even with 1Gbit).